Argonne materials scientist Vojislav Stamenkovic probes the structure–function relationship of new electrocatalysts being developed for polymer electrolyte fuel cells using an ultrahigh-vacuum technique. The U.S. Department of Energy’s (DOE’s) Argonne National Laboratory has joined a project funded by DOE’s Fuel Cell Technologies Office to enhance the performance and durability of polymer electrolyte membrane (PEM) fuel cells, while simultaneously reducing their cost. The PEM fuel cells produce electricity through the reaction of hydrogen and oxygen — their only emission being the water formed when the proton and electrons combine with the oxygen. Thursday, Oct. 8, was National Hydrogen and Fuel Cell Day, dedicated to increasing awareness of this renewable energy technology. The date is a nod to hydrogen’s atomic mass: 1.008. Fuel cell technologies can significantly benefit the nation’s energy security, the environment and economy — offering reduced oil consumption and highly reliable grid-support, reduced greenhouse gas emissions and air pollution and expanded renewable power use and highly efficient conversion. Consortium members in this effort also include Lawrence Berkeley National Laboratory, with Adam Weber serving as the consortium’s deputy director; Los Alamos National Laboratory; the National Renewable Energy Laboratory; and Oak Ridge National Laboratory. The consortium will coordinate national laboratory activities related to fuel cell performance and durability, provide technical expertise, and integrate activities with industrial developers. The consortium will also serve as a resource that amplifies the impact of DOE’s Office of Energy Efficiency and Renewable Energy’s Fuel Cell Technologies Office (FCTO) by leveraging the core capabilities of the member laboratories. Dimitrios Papageorgopoulos, the Fuel Cells program manager for FCTO, will lead the consortium. Argonne will coordinate the improvement, support performance and durability of the fuel cell electrocatalyst, and assist in the modeling and validation of fuel cell performance and degradation. The laboratory’s effort will be led by Argonne scientist Debbie Myers and Argonne engineer Rajesh Ahluwalia. 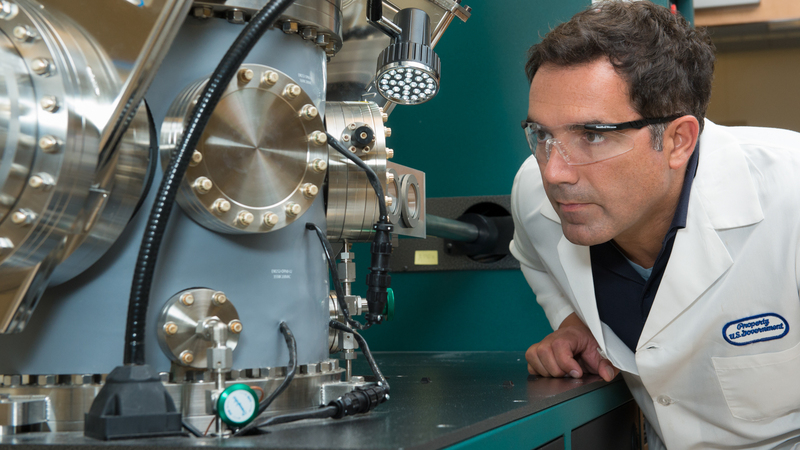 Argonne has been actively involved in fuel cell and hydrogen R&D since the late 1970s. The laboratory conducts basic and applied research in a wide range of technologies, from the development of new catalyst technology that reduces the cost of polymer electrolyte membrane fuel cells to software tools for evaluating the environmental impacts of fuel cell adoption. Debbie Myers, leader of the Hydrogen and Fuel Cell Materials group in Argonne’s Chemical Sciences and Engineering division, will co-lead Argonne’s participation in the consortium. Argonne engineer Rajesh Ahluwalia, of Argonne’s Nuclear Engineering division, will co-lead Argonne’s participation in the consortium.